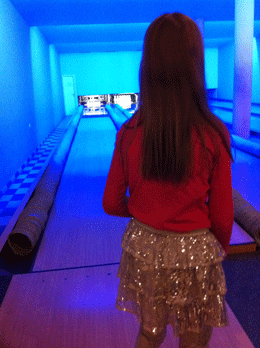 This is one of the prettiest and cleanest bowling venues I’ve seen. 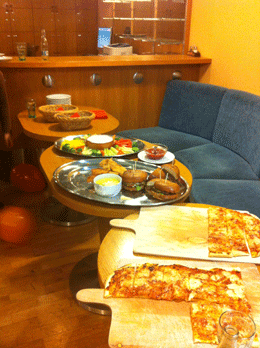 It’s the perfect size for a party and the catering provided on-site is excellent. 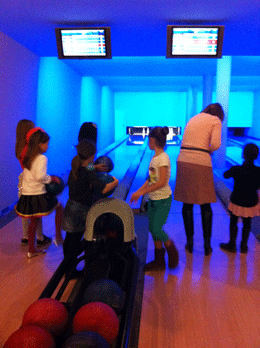 A half day bowling out here is a great treat for kids over these cold winter months and is definitely a good choice for birthday parties too. Dolce Villa is a small boutique hotel in the village of Nebušice, a semi-rural village only a few minutes drive from Evropska when heading out in the direction of the airport. 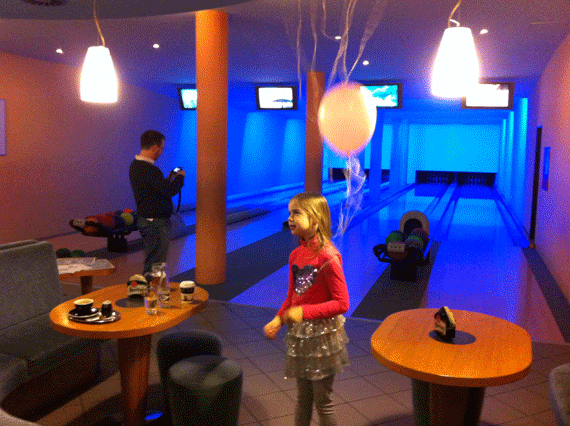 The bowling lanes are downstairs in a fully enclosed room but its right next door to the hotel bar and restaurant so the space is well catered for. The staff on-site were also very friendly and attentive - we were quite spoilt! We attended a birthday party at Dolce Villa. 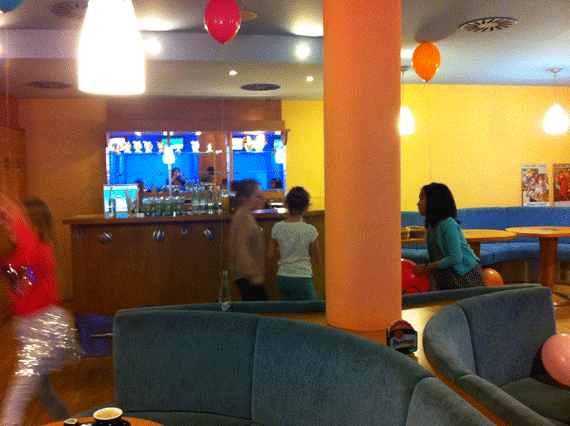 The venue provided balloons, music, food and drink. My friend also put out colouring pages and pencils for the kids to use but they were entertained enough within the space and using the lanes. The food was really yummy, two types of pizzas, a big platter of healthy raw vegetables with dips, fried chicken and yummy burgers. The restaurant is right outside so you can easily chose other options or order more food needed. 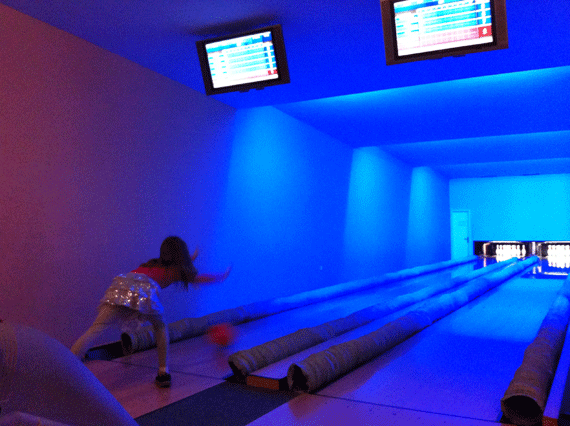 We had two lane ways set aside for us and they placed padded bags into the gutters so that kids had a better chance to score. The party was very relaxed and fun, we had a great time out there and would definitely return in the future. I can highly recommend this place for birthday parties too. A bonus is that the staff speak good english and are friendly to deal with. Another big plus for this place is that there is no smoking allowed, quite a few bowling places in Prague seem to allow smoking in their venues and they really stink of tobacco smoke and booze. 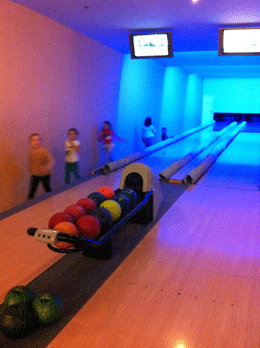 Bowling lanes can be rented by the hour, prices start at 170czk per hour. Here is a full price list detailing price per hour. Prices change, weekends or late afternoons and evenings are more, weekday mornings are cheaper. DIRECTIONS: By Car: Take Evropska Street in Dejvická in the direction of the airport, turn right at Horomericka Street (just before the big apartment towers) then follow the road down to a small village and turn left into Nebušická Street. By Metro & Bus: Take the Metro green line A to Dejvická. Change to the Nebušice bus (numbers 116, 161 or 312 departing every 15 minutes) and take it to Škola Nebušice, you will see the Hotel when you get off the bus.